Sorry if the photos are bad quality. I was doing this in the bad lighting of my basement with the camera on my iPhone. I saw this first on YouTube by a girl named Bethany Mota. Her channel is called MacBarbie07 if you want to check it out. I am absolutely obsessed with all her videos. Anyways, I thought I would do a step-by-step guide to making a "camera" out of recycled Arizona cans. 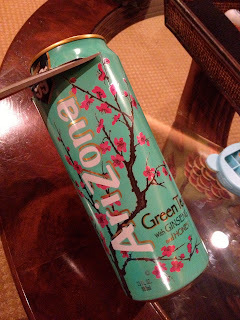 I love their tea, and the cans are so bright and colorful they shouldn't be thrown away :) So, let's get started. First, you will need two Arizona cans. Make sure to drink all the deliciousness within before proceeding. 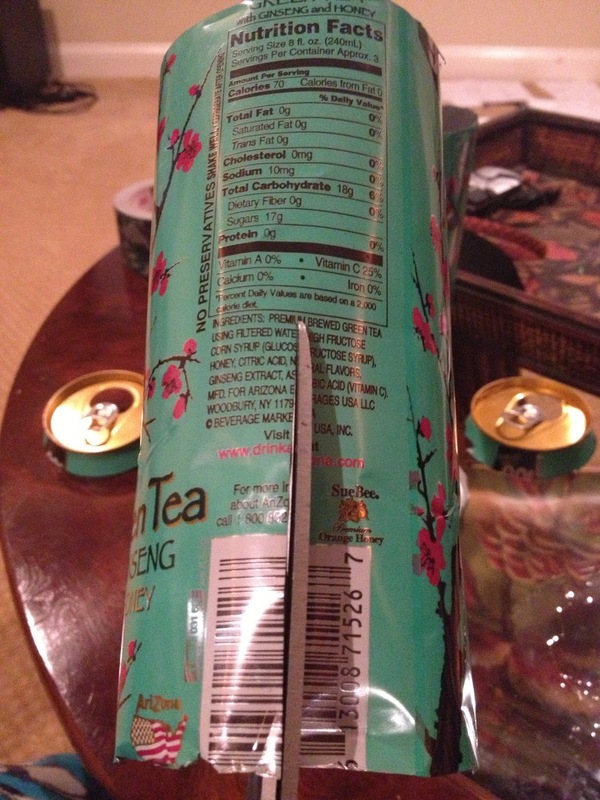 Start off by cutting off the top and the bottom of the can so that you have two Arizona "tubes". 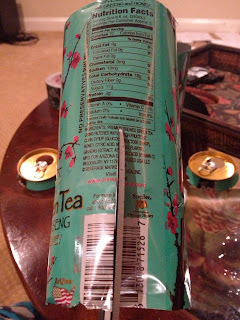 Warning: it is quite difficult to get the scissors first cut into the can, but once you get the first it is very easy from there. Now, find the Nutrition Facts on both "tubes" and cut through the middle of them, creating an Arizona "sheet" this time. This is where you use the ruler. Taking your scissors out again, cut both "sheets" into 13cm x 6cm smaller sheets. 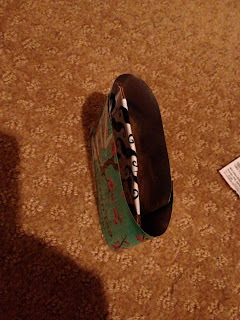 Hopefully your glue gun is warm by now because you need it to glue the two sheets together to form another tube. 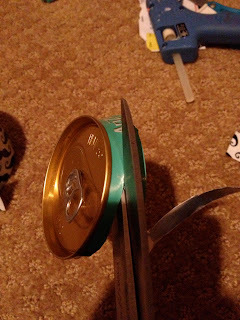 Taking one of the tops of the can that you previously cut off, cut as much of the remaining blue that you can. Glue the top to the surface of one of the sides of the "camera body". Make sure to use a LOT of glue and hold while it dries. This part is tricky. 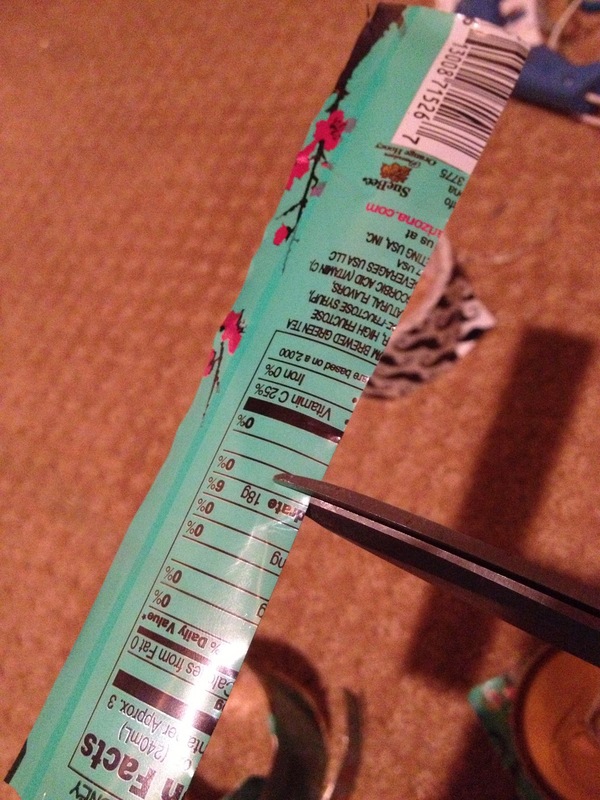 Grabbing one of your left over pieces from the nutrition facts, cut slits into all sides. Now fold the sheet so that it acts as a top for the "camera body". Next, pull off the "tab" thingy from the unused top from the can and glue it upright on the top of the camera to create a "button". 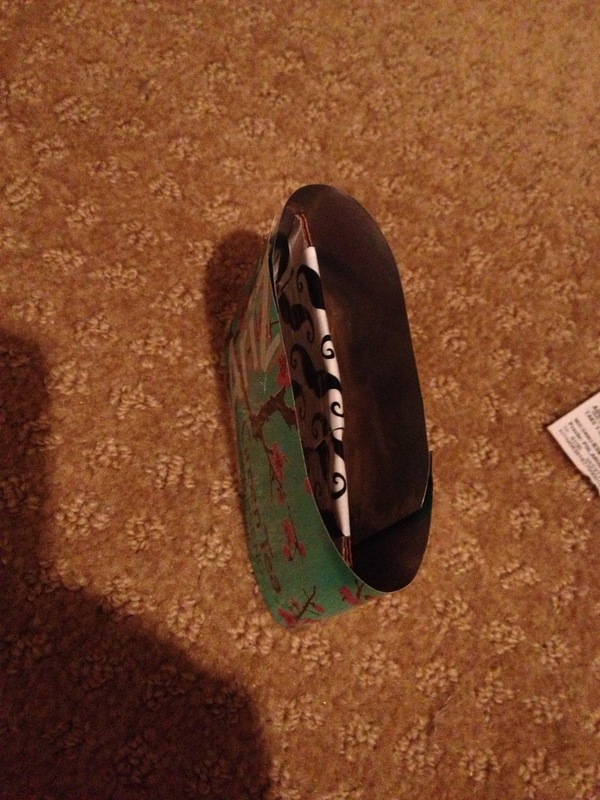 After, grab a scrap of metal and fold it into a triangle shape and glue it to the other side of the top to create a "flash". Voila! You now have your Arizona "vintage" camera.